This blog is a collection of Creative Non-Fiction stories and Uni essays of my family from my Family History research. For ease of reading I would suggest choosing from the sidebar on the right for what you are interested in. This way you can read your choice in order, not as posted below by date. 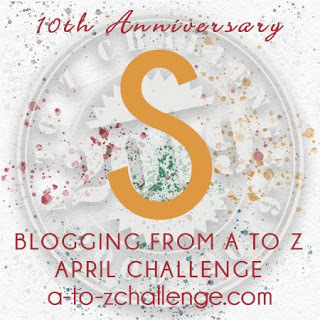 S is for … Samuel, Stanley, Stanville, Samantha, Sarah, Sandra, Saxon, Susanne, Steven, Stephen, Stella, Sharlyse, Sonja, Ship, Surname to throw out just a few! My maternal grandfather was a Samuel Stanley Briggs. He named his house Stanville and had a courier business called SS Briggs Carriers. So he contributed quite a lot to the “S” theme. I have written a couple of short creative non fiction stories featuring Samuel Stanley. These can be found under Weekly Writing Activity, so I won’t elaborate further here. I do have a fair bit of research yet to do for this line of my family. For those who have kept up with my writings you will notice a familiar theme …. I have much research yet to do! Another “S” word that causes me grief is Ship. I have spent so many hours scrolling through ship passenger lists, looking for elusive ancestors arrival in Australia. Many a time I have thrown my hands up in the air and exclaimed “Surely they didn’t swim here!” They are notorious for just listing passengers as Mr or Mrs, without Christian name or even initials. NOT very helpful in trying to find an ancestor. 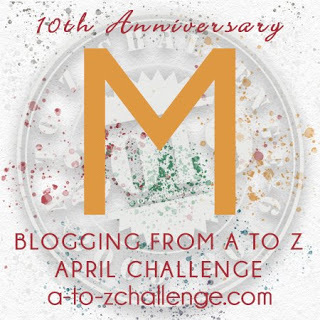 So seeing that I am still keeping up with this Blogging Challenge I will sign off now. 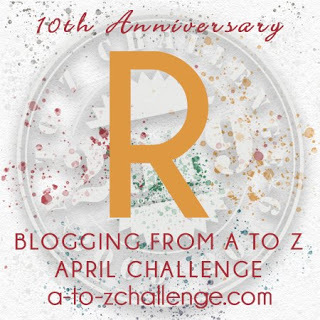 R is for …Ralph, Rebecca, Robert, Robin, Ruth, Ryan, Ruby. Today’s letter is a no-brainer for me. Ruby Florence Brandt was my darling mother. She was born Ruby Florence Briggs in 1917, married my father in 1941 and died in 1996. One of my cherished memories of my mother is her never ending ability to make things, a real homemaker. She was an avid sewer. She sewed clothes, home furnishing, made dolls and dolls clothes and many other things. You name it and my mother could usually make it up for you. I remember a childhood of never having to go shopping for clothes, mum took care of that as she made it for me. I remember wedding dresses being made for myself and my sisters. I remember her giving me tips about dressmaking and sewing. Not that I really took much notice at the time, but it has stood me in good stead over the years in my journey with the sewing machine. They say we turn into our mothers and as I get older I realise that I am more and more like her. I am fine with that! 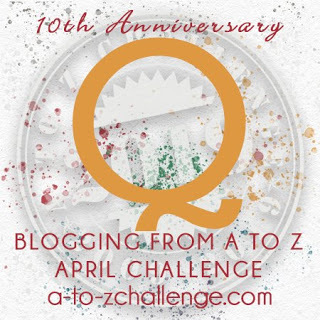 Q is for… lots of things but not many relating to Family History. I have one name on my husband’s Family Tree beginning with Q. As I am only just hanging in there by the skin of my teeth with this blog challenge I still haven’t any relevant information on this particular person, because I still haven’t done any research on her! While writing this I have realised that a particular Q word has been hindering my writing efforts. I have been making a Quilt for a wedding present on the 26th of this month. So I guess I could say Q is for ... quilt, as it is interrupting my blogging time! 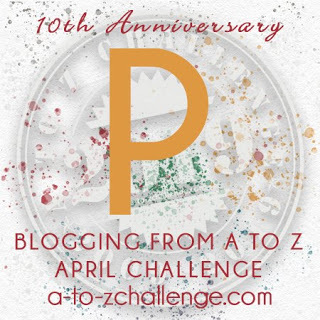 P is for… Peter, Patrick, Patterson, Paul, Pollyanna, Passenger List, Paternal Line, Pedigree Chart, Primary Source,. Well were should one begin? I have written in other posts on this blog about my paternal ancestor Peter Brandt killed in action in 1917 during WW1. I have documented his story in Uni essays and in some short stories. Last year my husband and I visited Kings Park in Western Australia. We were moved by the Avenue of Trees, dedicated to Servicemen and Women. There are many trees with plaques attached with the names of men in battalion and units. On enquiry we were told that Peter did not feature amongst any there. This sparked my interest and I researched how I could get a plaque for my Peter. After doing my Uni Essay on Peter I found that I had a connection with him. Being single and 42 years old when he enlisted and 43 years old when he died, I was sad that there was no-one to remember him and felt I had been given the opportunity to rectify this situation. After corresponding with the Avenue Memoral Committee and filling out the relevant forms I now have a date for the dedication service of Peter’s plaque. It will be placed with others from his battalion. The dedication service will take place on the 18th May. Unfortunately we are unable to make the trip back to WA for the service but I do have a nephew that will attend on my behalf. I am now happy and content that I was given this opportunity. 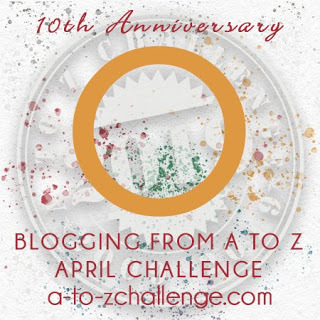 O is for…. Oswald, Owen, Oliver, Obituaries, Occupation, Overwhelming, Offspring, Overload. Oh, Oooh, what to write for O.
I have not done any research on these names in my Family Tree. So I am at a loss as to what to write. I have read my share and probablly someone else’s share of obituaries though! When you find a good obituary they can sometimes lead to very interesting information worth researching. There may be stories about the deceased and often names of offspring that you are unaware of. If the obituary has been written by someone close to the deceased it can lead to a wealth of information for the researcher. I have many ancestors that chose to name their offspring after themselves. It is when researching these particular ancestors that I run into information overload, finding myself with two Oswalds who are very similar in their search parameters! It is here, usually late at night that I throw up my hands, completely overwhelmed and go to bed! 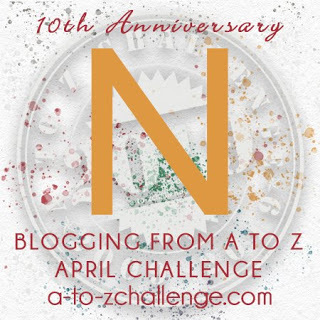 N is for … Nellie, Nicholas, Nannie/Nan. There aren’t many “N” names in my Family Tree. But my favourite would have to be when I am called Nannie or Nan by my beautiful grandchildren! My mother was called the same by my children. I remember before the birth of my first grandchild I researched extensively the different names for a Grandmother. I trolled the internet trying to decide what I would choose. I was thinking that I would like something unique but I couldn’t make up my mind! Then during a conversation with my eldest son, the father-to-be I mentioned my dilemma. He looked at me with a confused expression and stated you will be Nannie of course! I was honoured and the decision was made. So much for my research! M is for…Magnus,Mabel,Mac, Maria, Mark, Martha, Martin, Mary, Matilda, Matthew, Max, Maxwell, Meg, Micah, Michael, Minette, Muriel, Marcia-Me! Magnus is a collateral ancestor and I haven’t found a lot of information on him. I thought it would be a good time to do some research on Magnus Ernest Brandt, with this letter. But it is amazing how soon I realised that there is never any quick searches in Family History so this Magnus will have to wait until another day. I know when he was born and died, but that is about it. Stay tuned, I will get around to him eventually. He does appear in some of my creative non fiction stories about Louisa, though. Most of the other “M’s” are living relatives and I will not write about them without permission. So the next person of interest and who I have a fair bit of information on, is Marcia-Me! Marcia Ruby Brandt daughter number four was born to Garvice and Ruby, in 1955. I was blessed to marry my husband in 1975 and we have 3 wonderful sons and a gorgeous daughter. Our sons all married and along with 3 beautiful daughters-in-law gave us 6 granddaughters and 1 grandson. I am a keen Family Historian and completed a Diploma in Family History in 2017. But I am constantly learning in my journey of Family History and this journey will never end. I am very thankful for today’s technologies and the internet. As I am mobility challenged, the internet is a great asset as I find getting to Libraries and research repositories a challenge. It is great to be able to research from the comfort of my own lounge room. I know that the internet has it’s drawbacks and limits but for me it is a godsend. When not dabbling in Family History, I can be found in my Sewing Room. I love Patchwork and Quilting and at the moment most days see me playing with some form of sewing. I also love painting and along with three friends meet weekly for support, laughter and sometimes we work on our painting projects! I mainly dabble in acrylics and pastels. I love painting gifts for my family and I must admit that I am fast running out of wall space for the projects that I keep instead of giving away. My latest hobby is writing. It was during my Diploma that I found I enjoyed the challenge of the written word. Being an avid reader, I soon found that I was able to write without too much effort., although this challenge is testing me! The writing units in the Diploma were my favourite units, so with the tuition and experience gained from these, my Family History Blog was born. But I have to say that the over-riding passion for me would have to be my family.